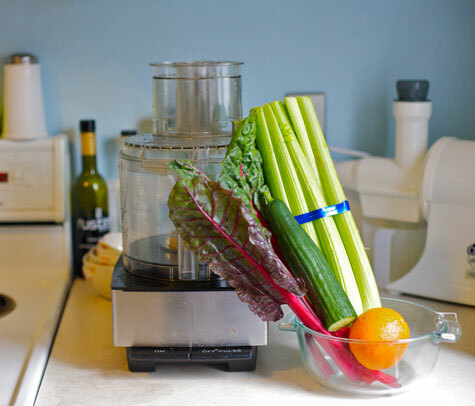 Last week I wrote about why I adore drinking vegetable juice, and now I’m excited to show you how you can enjoy this healthy treat as well – even if you don’t own a juicer! That’s right, no expensive appliances are needed. Don’t ever let anyone tell you that healthy eating costs a ton of money. Sure, I love my trusty Champion and my Vita Mix makes me swoon, but these fancy gizmos are for fun and for ease, not for necessity. 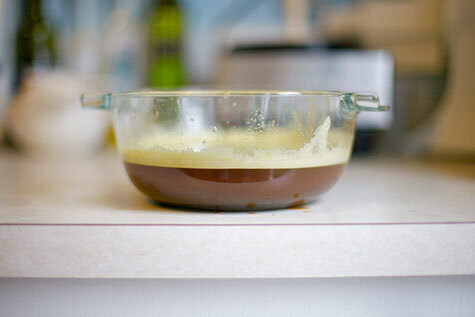 Making juice sans juicer is procedurally identical to making nut milk. This is best done in a blender, but I photographed this series in a food processor to demonstrate that it can be done this way as well. Hell, you could probably even use an immersion blender if that’s all you’ve got. Do what you gotta do! Step 1: Rough chop all produce and place it into the food processor/blender. Add 1 cup water to start – you may need to add more. 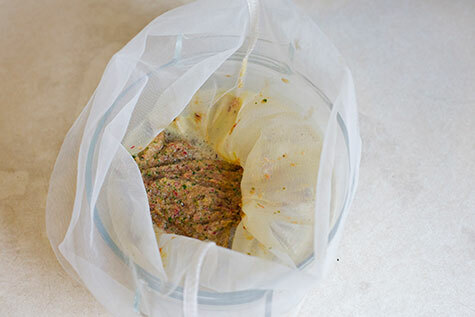 Step 3: Line a large bowl with your sprouting bag or cheesecloth. Pour the entire contents of the blender into the bowl. If using a mesh strainer, pour the blender contents through the strainer, over a large bowl. Step 4: Use your hands to squeeeeze all the liquid out of the produce pulp. You’ll end up with a big bowl of veggie juice! Transfer it to a tall glass (here’s where that funnel will help) and drink immediately. Don’t forget to save your pulp! There’s still lots of fiber and micronutrients in there. Throw it into soups, casseroles, breads (a la zucchini or banana, not so much french or sandwich), sauces, and raw crackers. I always add mine to my homemade dog food, but that’s a whole other post . . . So now you have no excuses! 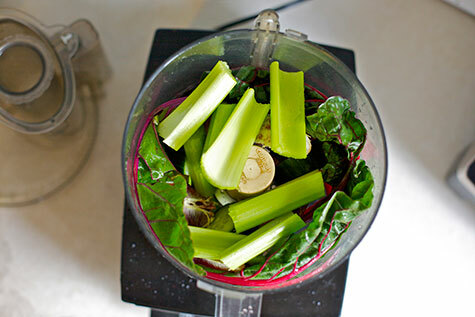 Fresh veggie juice, vibrant and alive with vitamins and minerals, is yours for the taking. Drink up! 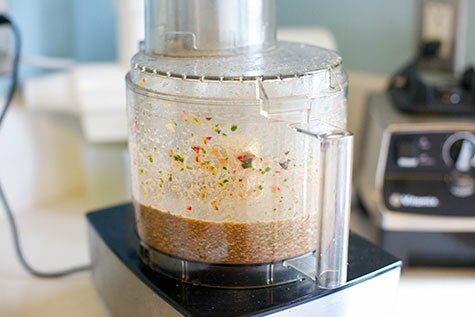 Wow great article on juicing, yay, and please do tell us more about homemade dogfood as I have been making home cooked food for 2 huskys for 2 years. Thanks so much for the info here! I’m having health issues and want to juice. I’m also having financial issues and don’t want to have to buy a juicer that’s expensive! I’m going to try this method first before deciding. What about the enzymes and things which you lose when not using a non-masticating piece of equipment? (I hardly know what any of those things are, just mentioning what those juicing buffs talk about).